Justjoyministries is ranked 748,597 in the United States. 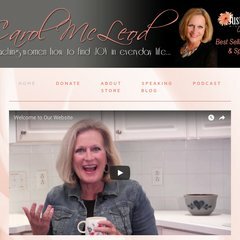 Topics: Just Joy Ministries, Faqs, Carol Mcleod, Mission Statement, Testimonies, and Mailing List. Justjoyministries.com's server IP number is 98.129.229.44. American Registry For Internet Numbers (Virginia, Chantilly) is the location of the Apache/2 server. Its 2 nameservers are dns2.stabletransit.com, and dns1.stabletransit.com.